Desert Blue Connect staff attended the Rotary Club of Geraldton’s Radio Auction Appreciation Dinner last Wednesday evening. We were one of four recipients, along with the Salvation Army, Centacare and Midwest Disaster Relief who received a donation from their recent radio auction fundraiser. The money will be used to purchase essential items such as pyjamas, underwear and personal items for our clients at the Chrysalis House Women’s Refuge. 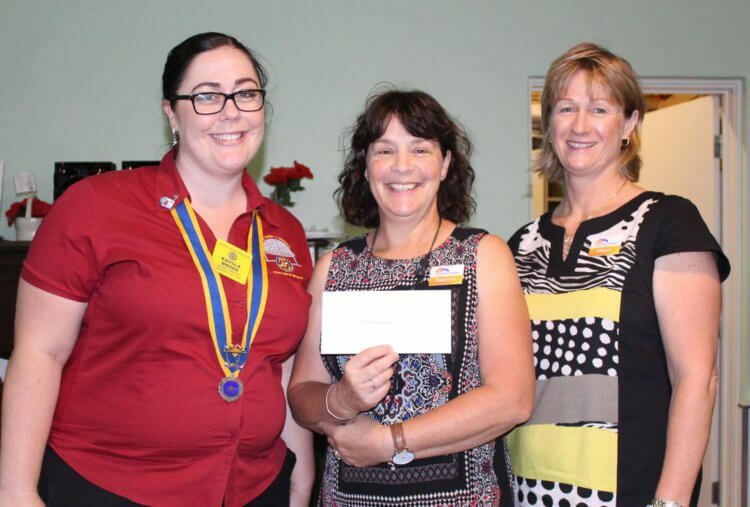 We would like to thank the Rotary Club of Geraldton for their ongoing support to local organisations such as ours and congratulate them on their success with the annual radio auction.